A belated Happy New Year to you all! Well, here we are in 2015 as our houses near completion. The prospective occupants will by now have learned of their successful bid, and be preparing themselves for their pioneering passivhaus home. We will be welcoming our first residents at an opening ceremony and look forward to sharing this with you. 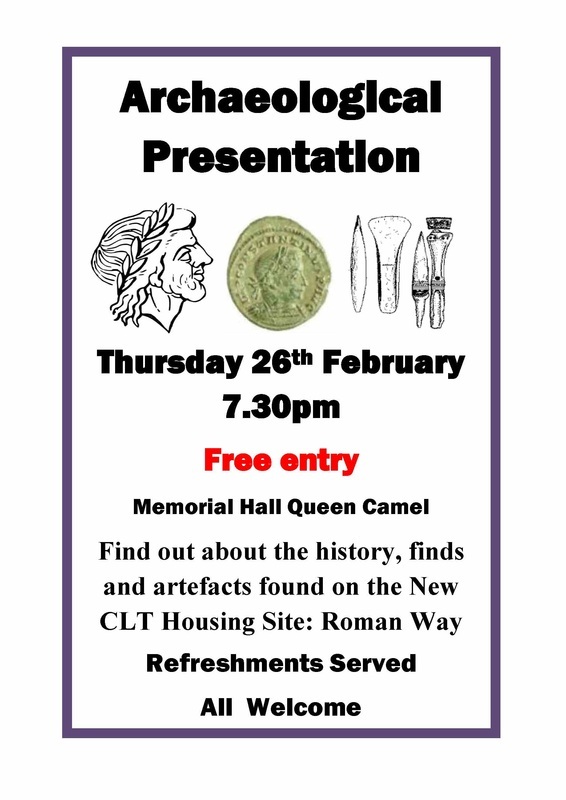 Attached is a poster advertising the Archaeological Presentation by Lee Newton (who was involved in the archaeological dig on the site). Wessex Archaeology are still researching the finds so Lee will have plenty of news to keep us enthralled. Afterwards there will be tasty treats to tempt you plus time to ask Lee any questions. We hope you will be able to join us then. If you would like an electronic copy of Wessex Archaeology’s interim report of their finds on the site, please email us requesting a copy. Although be warned, the report is 67 pages (8Mb) small!